First look of Hansika from Maha is out. The actress is seen in never seen before avatar wearing Saffron robes like a saint. She can also be seen smoking Ganja in the poster. 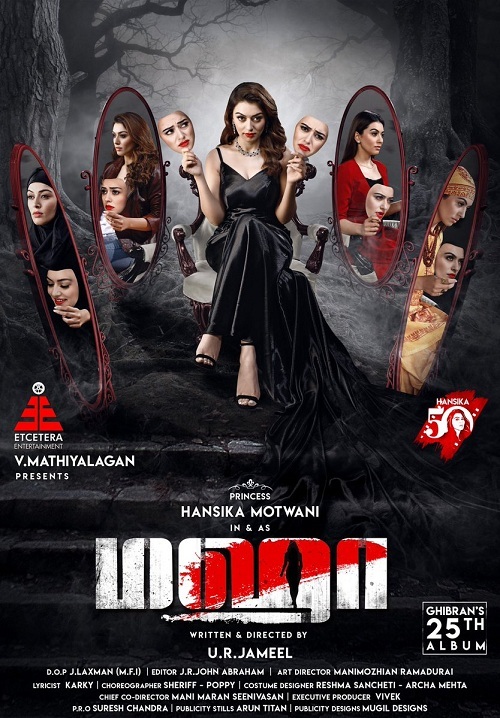 Titled ‘Maha’, it is Hansika’s 50th film and music director Ghibran’s 25th film. 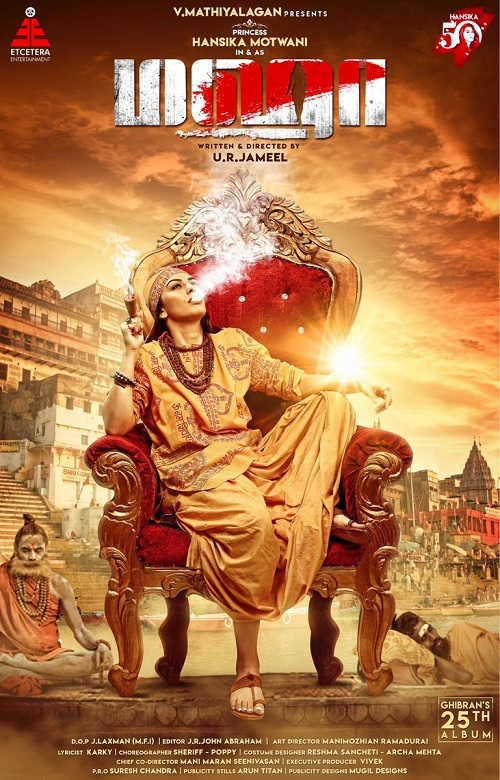 Hansika played a sage in her debut film ‘Deshamudhuru’ starring Allu Arjun. Maha is billed to be a suspense thriller directed by UR Jameel. The shooting began on Sunday. The film will be shot in Chennai, Madurai and Europe.